Seaside Residences just saw its strongest sales for the five months to date. 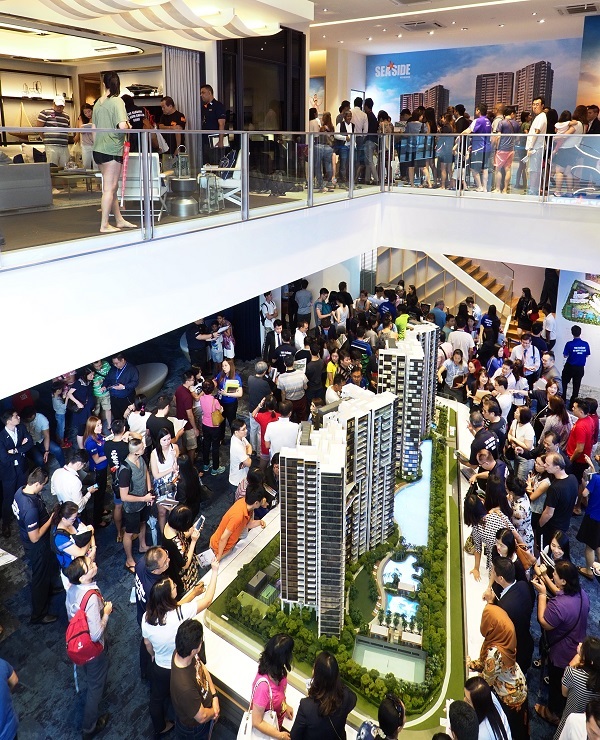 Buyers snapped up 54 units over the week of May 1 to 8, leaving only 36 units up for grabs under phase two following its launch on May 1. The 99-year leasehold development in Siglap, District 15, is a six-minute walk from the upcoming Siglap MRT station on the Thomson-East Coast line. The project comprises 841 residential units and two commercial units across four blocks and three phases. The first phase, launched in April last year, saw all 640 units sold by last month. The entire development is now 82% sold. Frasers Property Singapore, the developer of Seaside Residences, took advantage of the positive sentiment in the property market to raise prices for its phase-two launch. Average psf price for the home units jumped 13.1% to $1,933 for the new releases, compared with $1,712 fetched in the first phase. The developer is planning to launch phase three in 4Q2018. Given market projections, the take-up for the phase two units was within expectations, says Elson Poo, Frasers Property senior vice president for sales and marketing (residential). Of the phase-two home buyers, 90% are locals, with the rest from the US, Indonesia, Hong Kong, China and Japan. Foreign buyers include Singapore permanent residents. The US buyers were formerly Chinese nationals, according to Poo. US citizens are one of the five nationalities that are charged the same stamp duty rates as Singaporeans. The others are the citizens and permanent residents of Iceland, Liechenstein, Norway and Switzerland. Half of the buyers in phase two are owner-occupiers, while investors make up another 25%, Poo says. The two-bedroom units are popular among homeowners, while investors tend to opt for one-bedroom units, he notes.